My First Game Console (Sprite Edition): A Lego NES + Instructions. A good amount of Lego fans have at one point or another fallen in love with the Nintendo Entertainment System. The NES was originally released in 1983 in Japan with red and gold styling. The black and gray system didn’t show up until 1985 in North America and 1986 in Europe. For many people this would be their first video game console. Most kids at the time could be found in front of their TV having an adventure with Link or saving the princess with Mario. A good many of these kids were also enjoying the Lego Classic Space or Castle theme at the same time. Chris McVeigh (Powerpig) has created a great Lego NES MOC with only 220 pieces. The end result is the main console, two controllers and two games. Perfect for some multiplayer. The cartridges can even be inserted into the NES. Although you may need to blow on them first. 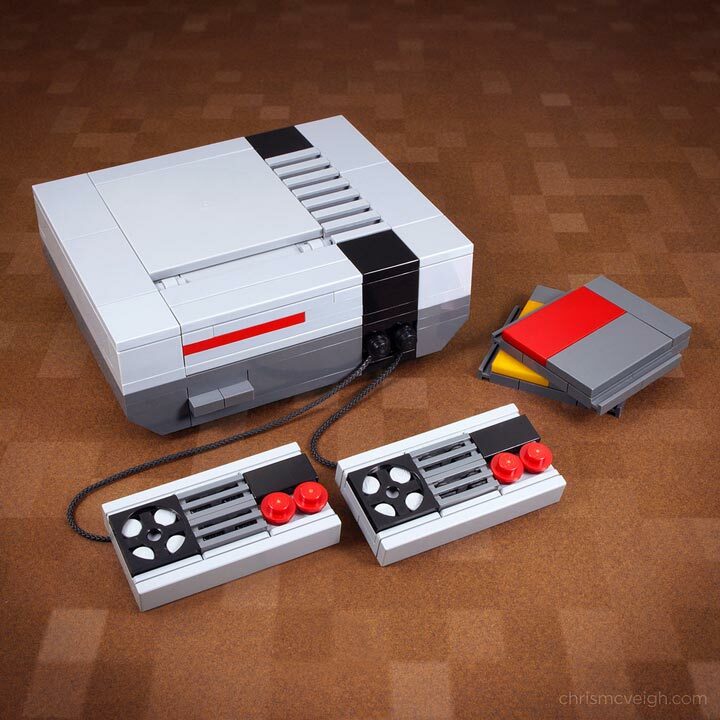 The coolest thing ever, is that Chris McVeigh has provided super detailed instructions for you to build a Lego NES at home. Check out the PDF for a parts list. 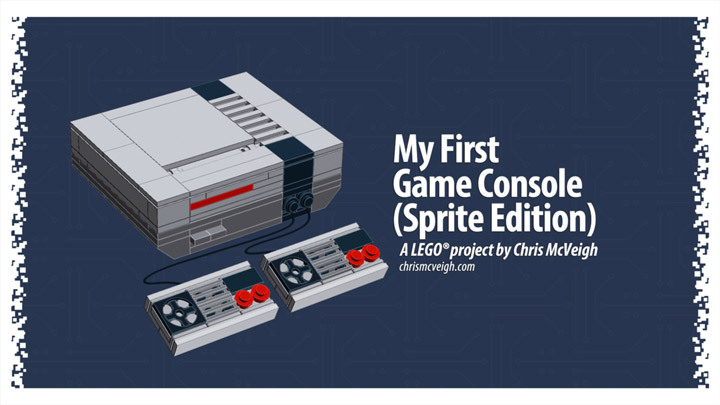 If you don’t happen to have all the necessary pieces My First Game Console (Sprite Edition) is available for purchase through Chris McVeigh’s online store. With preorders shipping out in about 2 weeks. I aready biulded a diy quarter 3ds, quarter switch,quarter wii u, and quarter xbox360 by myself before even knowing this existed!